Sparki can use the sensors below the hands to sense edges and lines. In this tutorial you’ll have Sparki follow a line. Note: If you make your own line path and the lines aren’t dark enough, or the material is too reflective in general, Sparki may become confused. Try something with more contrast and less reflectivity, or change the threshold in the code. Sparki has an array of infrared sensors underneath that it uses to detect if there are lines below it. 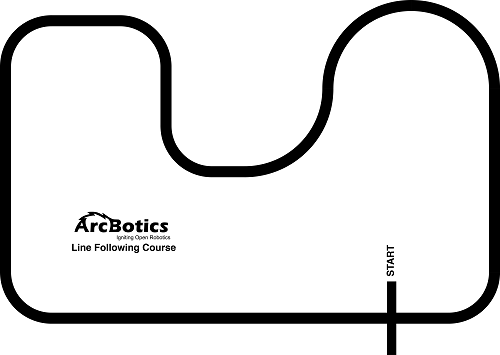 We’re going to program Sparki to follow the dark lines in our path, since they are printed over a more reflective background (typically, the path is printed in dark black, over a white background). Here are the parts again, but with pictures showing what you’d normally think of them as! 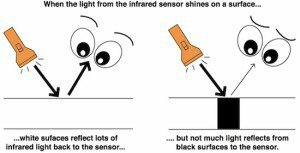 So, let’s use these sensors to make the Sparki to follow printed lines in the floor. In this example code, Sparki continues to move forward as long as it detects a line underneath the center sensor. If there is no line underneath it, it will look under the left and right line sensors to see if it has started to move off course. 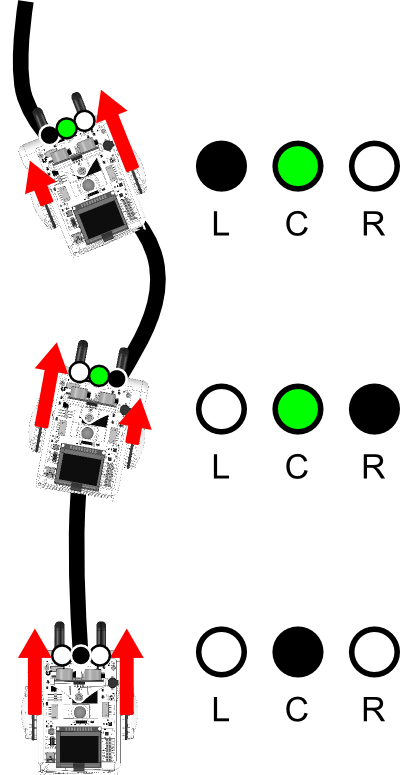 If there is a line underneath the left sensor, it will move left to move the robot back to the line (by accelerating the right wheel, as explained in this previous lesson). 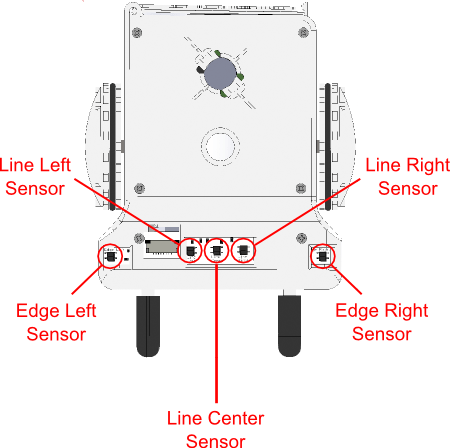 If there is a line underneath the right sensor, it will move right to move the robot back to the line. The following image shows the possible states of these sensors, the different ways they can be thought of, as seen by our program. The black dot means that the sensor is reading a line below it. A white dot means that the white background is below the sensor. With the green dots means Sparki does not care what color it is. as close to 900, and black as around 200. Congrats! You have programmed Sparki to follow a line! Of course, there are other techniques to follow lines with a robot, such as with two sensors instead of three, or even with one! Why not take a look out there in the Internet to see if you can find new ways of doing this? If the line forks, which way will Sparki turn? Is there a way you can give it directions with the remote as it comes to a split in the road? 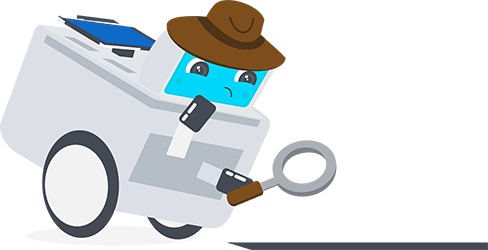 Are there ways you could have Sparki tell you when it has reached a branching path? What about following a line that is wider than the distance between the left and the right sensor?